ادریسی, افسانه. (1393). افتراق در سرمایه اقتصادی خانواده‏‌ها و ترجیحات فعالیت‏های فراغتی جوانان. فصلنامه مطالعات فرهنگ - ارتباطات, 15(28), 213-239. افسانه ادریسی. "افتراق در سرمایه اقتصادی خانواده‏‌ها و ترجیحات فعالیت‏های فراغتی جوانان". فصلنامه مطالعات فرهنگ - ارتباطات, 15, 28, 1393, 213-239. ادریسی, افسانه. (1393). 'افتراق در سرمایه اقتصادی خانواده‏‌ها و ترجیحات فعالیت‏های فراغتی جوانان', فصلنامه مطالعات فرهنگ - ارتباطات, 15(28), pp. 213-239. ادریسی, افسانه. افتراق در سرمایه اقتصادی خانواده‏‌ها و ترجیحات فعالیت‏های فراغتی جوانان. فصلنامه مطالعات فرهنگ - ارتباطات, 1393; 15(28): 213-239.
Leisure time activity is another arena that has been added to human life in current world. Variation in economic capital generates different tastes and preferences in spending leisure time. T he purpose of this study is to identify the extent of leisure time, the relationship between ways of spending leisure time by students and the economic capital of their families and a comparative study of leisure time activities in two universities. The approach of the study is descriptive comparative and research methodology is survey. Statistical population consists of students from university of Tehran and Azad Islamic university North Tehran branch in the year 2010. The Cochran formula is applied and the sample size is equal to 804 divided equally between the two universities. Sampling methodology is disproportionate stratified random sampling and universities and departments are considered as strata and the share of each department in the sample is disproportionate to statistical population. Types of leisure time activities are divided in to five groups: intellectual , social, entertaining, artistic and cultural, and physical activities . The results indicate that economic capital of families between two universities are not different significantly. The students of Tehran university have fulfilled their leisure time with intellectual activities while the students of Islamic Azad university fulfilled their time with entertaining activities. Students leisure activities have significant relationship with economic capital in Tehran university excluding physical activities and cultural-artistic, social, intellectual and entertainment have respectively a stronger relationship with economic capital respectively. The extent of time devoted to physical activity is the most and the extent of time devoted to cultural-artistic activities is the least. The relationship between types of leisure activities and economic capital is significant in Islamic Azad university excluding intellectual activities such that social, entertainment and cultural-artisticnactivities have respectively a stronger relationship with economic capital respectively. The extent of time devoted to entertaining activity is the most and the extent of time devoted to cultural-artistic activities is the least. ارفعی عین الدین، رضا (1388)، بررسی رابطه نحوه گذران اوقات‏فراغت وسلامت اجتماعی، دانشکد ه علوم اجتماعی دانشگاه علامه طباطبایی،بهمن. امین‌طاهه، حسین(1374)، سازماندهی اداری و سازماندهی فضایی کارکرد گذران اوقات‏فراغت (مورد استراحتگاه شمال شرکت ملی نفت ایران)، دانشکده علوم زمین دانشگاه شهید بهشتی. اسدى، علی (1352)،گذران وقت در رضاییه، تهران. دبیرخانه شوراى عالى فرهنگ و هنر، فرهنگ و هنر، شماره 12. بیابانگرد، اسماعیل (1376)، روان شناسی نوجوان، تهران: انتشارات دفتر نشر فرهنگ اسلامی. تندنویس، فریدون (1380)، نحوه گذران اوقات‏فراغت دانشجویان دانشگاه های کشور با تاکید بر فعالیت‏های ورزشی، تهران، دانشگاه تهران، دانشکده تربیت بدنی. تیبا، مجتبی (1389)، بررسی رابطه پایگاه اجتماعی – اقتصادی و چگونگی گذران اوقات‏فراغت در بین دانشجویان (جوان 18 تا 29سال)، دانشکده علوم اجتماعی دانشگاه علامه طباطبایی»، دانشکده علوم اجتماعی دانشگاه علامه طباطبایی. دومازیه، ژوفر ( 1381)، مقدمه‌ای بر جامعه شناسی اوقات‏فراغت (مقاله نهم ازکتاب: تلویزیون، خانواده وفرهنگ)، ترجمه علی اسدی، تهران: سازمان چاپ وانتشارات اسلامی. رجب‌زاده، احمد (‌1381)، رفتارهای فرهنگی ایرانیان: فعالیت و مصرف کالاهای فرهنگی در تهران. روجک، کریس (1385)، مکانیزم‏های تنظیم‏کنندة زمان و فضای فراغت، ترجمه محمدرضا جلایی‏پور. 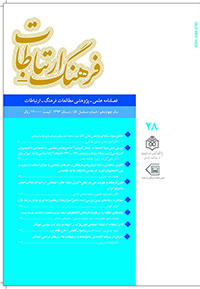 زرشناس، شهریار (1377)، توسعه، تهران، کتاب صبح. سازمان ملی جوانان (1381)، بررسی وضعیت اوقات‏فراغت جوانان. صداقت‌زادگان، شهناز و محسن فردرو(1379)، پایگاه اقتصادی- اجتماعی و مصرف کالاهاى فرهنگى، فصلنامه فرهنگ عمومی، شماره 223 بهار و تابستان. عقدایی، ابراهیم (1372)، بررسی علایق دانش آموزان دبیرستانی مشهد در گذراندن اوقات‏فراغت و چگونگی گذران در تابستان، مشهد: شورای تحقیقات آموزش و پرورش خراسان. فرج اللهی، نصرت الله (1373)، بررسی جایگاه تربیت بدنی در گذران اوقات‏فراغت دانشجویان دختر دانشگاه تهران، پایان نامه کارشناسی ارشد، کتاب بررسی وضعیت اوقات فراقت جوانان کتابخانه عمومی شهرستان بهشهر. گیدنز،آنتونی (1376)، جامعه شناسی، ترجمه منوچهر صبوری، نشر نی. مهدیان، محمدجعفر(1373)، ارزشیابی از برنامه‌های کانون‌های فرهنگی و تربیتی، دفتر مرکز کانون‌های فرهنگی. ورث. لوئیز (1388)، نظراتی در باره بررسی شهر، رفتار انسانی در محیط شهری(از مجموعه مفهوم شهر2)، ترجمه گیتی اعتماد، تهران: گروه تحقیقات و مطالعات شهری و منطقه‌اى. Coleman, J.(1988). "Social capital in the creation of human capital", American Journal of Sociology, 94:S95-120. Coleman, J.(1990). Foundations of social theory, Cambridge mass: Harvard university press. Furlong , A. ,Campbell, R. & Roberts, K. (1990), The effects of post-16 experiences and social class on the leisure patterns of young adults, Leisure Studies, 9 (3), 213-224. Marshal, Gordan(1998), Oxford Dictionary of Sociology, Oxford University Press. Tuner, J. H. (1998), The Structure of sociological theory, New-York, wadesworth publishing company. Veal, A.J. (1991), Australian Leisure Futures, Publication 13, Centre for Leisure and Touris Studies, University of Technology, Sydney. Veal, A.J. (1993), Lifestyle, Leisure and neihbourhood, In: Veal, A.J. Jonson, P. and Cushman, G. (eds) Leisure and Touris: Social and Environmetal Change, World Leisure and Recreation Association 1991 Congress Proceedings. Centre for Leisure and Tourism Studies, University of Technology, Sydney, 404-413.